What is the APCO International Western States Regional Conference? 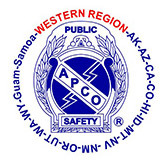 The APCO International Western States Regional Conference is an annual Conference and Exposition hosted by regional chapters of APCO International. Regional conferences provide annual localized venues to fill the need for the members of the public safety community to train, network, coordinate multi-state level activities and to learn about new technologies and services. The 2011 APCO International Western States Regional Conference is structured to answer that need and to make this conference of greater importance and value to the attendees and exhbitors than ever before. The Ontario venue is near the largest population center west of the Missisippi, making the conference convenient for larger numbers of local attendees to participate, a wider choice of facilities and hotels plus excellent transportation for out-of-towners. The Southern California chapter includes agencies serving a population of over 19 million 7 counties, 190 cities, most within less than 2 hours driving time. The conference program is expanded to accommodate professional trainers and top notch Administrative, Operational and Technical sessions. It offers training and education at a fraction of the cost and time of doing the same training one session at a time. We believe the attendees and exhibitors alike will appreciate the expanded booth style exhibit space with strategically placed 'oasis' area throughout the exhibit area, exclusive exhibit hours and traffic building events in the exhibit area. The Ontario Convention Center is a modern facility adjacent to the Ontario California International Airport and Interstate highway 10 for easy and low cost access. Two hotels offering GSA rooms rates to the group are within one block walking distance. The Ayers Suites will serve as the host hotel.